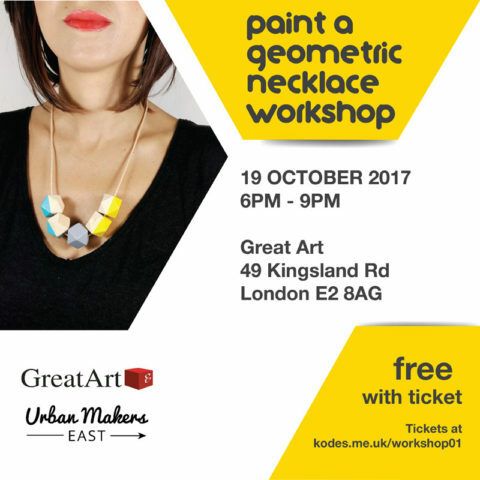 Join Kodes Accessories in a 3h workshop where you’ll paint one of her iconic geometric wooden necklaces. 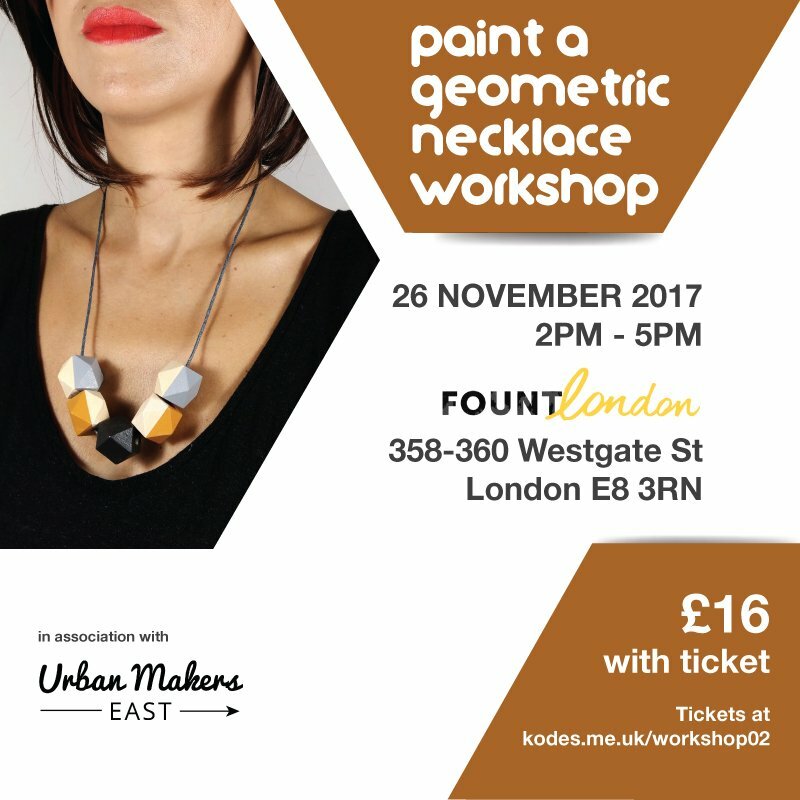 The workshop will be hosted at FountLondon in London Fields. 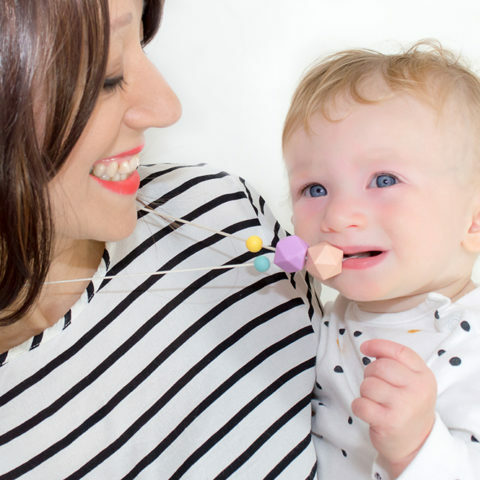 You will be able to choose from a selection of Autumn colours and let your creativity flow. 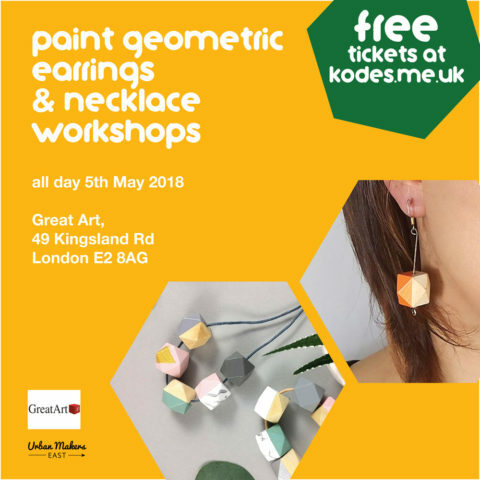 Your experience will include all the materials, a demonstration by Morena, the maker behind Kodes and the necklace (on either cord or chain) you will make. As painting with acrylic colours can get messy, it’s advised you to wear clothes that you don’t mind getting paint marks on as even if the paint is water based it might still stain your clothes. If preferred you can also bring an apron. 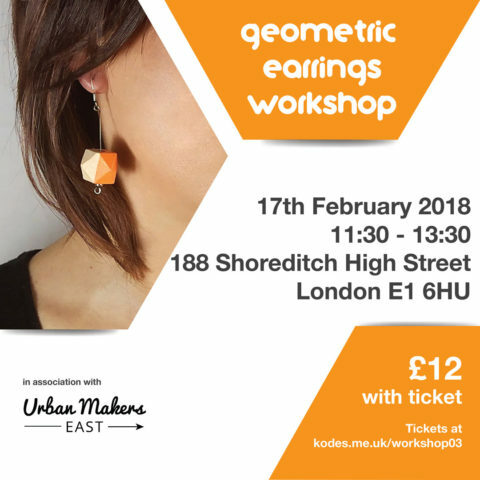 The workshop costs £16 and you will need to buy a ticket from this page and bring a printed or digital confirmation. Spaces are limited to 10 people, so make sure you book yours in advance to avoid disappointment. Please note that cancellations will need to be communicated via email at [email protected] before the 24th November in order to receive a full refund. Any cancellations received via email on and after the 24th November will be subject to a 50% refund.